Artist Forum > Community > Featured Articles and Topics > Do you have an art studio in your home? Do you have an art studio in your home? 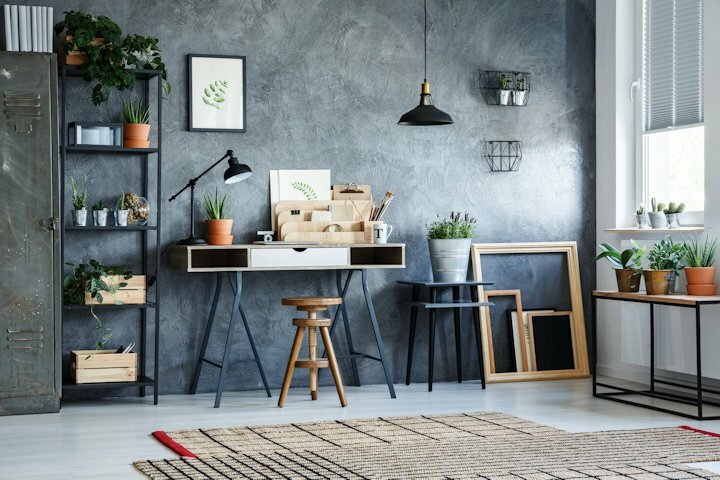 Do you have an art studio in your home? Or, are you one of those artists that can work anywhere? I am a Pleine Aire acrylic artist without a 'home studio', my wife and I are full-time RVers. We travel mostly Mid-Atlantic and Southeastern. Now we are in Quartzite AZ for the month of January, but will be rolling I-10 east bound and then up 17 to Wilmington NC. We go to the Triad twice a year to see kids and doctors. All of what I need fits into a backpack. I only use primary colors and titanium white. I use palette knives and a couple brushes, a water mister and a roll of paper towels. A studio would be nice for big works, but 8 X 10 is about all I can get done in an hour (the sun is always moving and creating a new picture!). I can paint in the RV because acrylic paints have no offensive odors. My paint box has been modified to be an easel and I can hold much larger canvas, but painting outside limits the size I work with. Maybe you should try Pleine Aire? I use the guest bedroom. It isn't ideal because I can't paint in oils if we have a visitor coming. I put those away a few days ahead of my daughters visits. I have a breezeway I could use but it's currently between 10 to 40 degrees out there and no insulation. Come spring I will have a studio again.